PAThe 7th Duke of Westminster, Hugh Grosvenor, arriving for a memorial service to celebrate the life of his father, the sixth Duke of Westminster at Chester Cathedral, Chester. Hugh Grosvenor, the Duke of Westminster named in latest Paradise Papers leak. Grosvenor, 26, is Britain’s youngest billionaire, having inherited the vast Grosvenor estate after his father’s death in 2016. The Grosvenor Group set up two offshore trusts — Vesta Limited, based in Bermuda, and Nakar Holding SA, based in Panama. 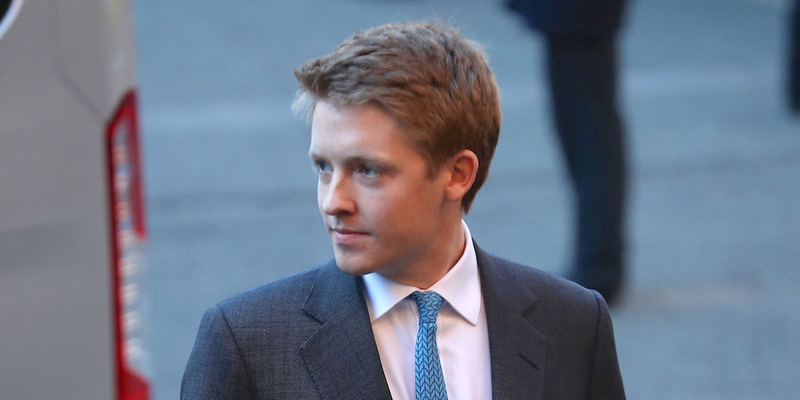 LONDON — Hugh Grosvenor, the Duke of Westminster, is the latest major figure in Britain’s ruling class to be named in the so-called Paradise Papers — a major leak revealing how the world’s rich and famous hide their money in offshore tax havens. The Duke, who inherited the vast fortune of his family after the death of his father last year, and subsequently became Britain’s youngest billionaire at the age of just 26, is named by The Guardian newspaper on Wednesday. Grosvenor reportedly managed, thanks to careful planning from his family’s estate, to avoid paying 40% “death duties” usually levied when assets pass from one generation to another. The latest story produced from a leak of 13.4 million files from two offshore service providers and 19 tax havens’ company registries shows that several decades ago the Grosvenor estate set up two offshore trusts — Vesta Limited, based in Bermuda, and Nakar Holding SA, based in Panama. Both of these firms had shares in Grosvenor International Holdings Ltd, the international branch of the family’s business. “In March 2007, Grosvenor announced it was buying out Vesta and Nakar for £40 million. The reason given was to “better align the shareholders’ interests with the group’s activities.” The companies were dissolved later that year,” the Guardian reports. “Two small overseas trusts were established over 50 years ago, when it was accepted common practice to facilitate the acquisitions of some non-UK assets. No family member has received any benefit derived from these but, as UK residents, if they ever did then they would be fully liable to tax in this country. The Grosvenor estate is one of London’s largest landowners, with around 300 acres of West London property in its portfolio, including in wealthy, well-heeled areas like Belgravia and Mayfair. The Grosvenor Group’s portfolio also includes the Liverpool One shopping district in Liverpool, as well as shopping centres in China, and apartment buildings in Canada and Japan. You can read the Guardian’s full report on the Grosvenor estate here.